As a follow up to our Architecture Trends for 2019 blog, Interior Design Trends 2019 presents the latest style preferences to embrace as we endeavour to create indoor spaces with charm, appeal and relevance throughout the next 12 months. 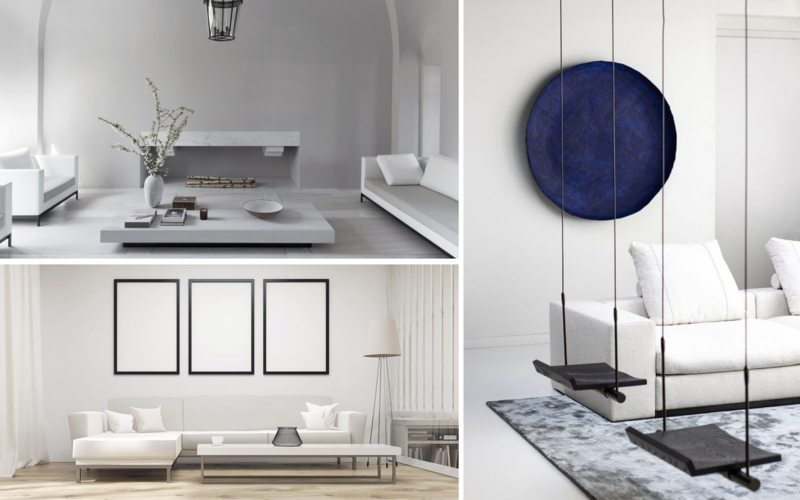 Simplicity still epitomises sophistication and excellence in our eyes, and so the minimalist approach has to be included in our Interior Design Trends 2019 blog. Some examples of modern day design have a tendency to overcrowd and over-complicate interiors with too many plants, pictures and an array of other decorative elements. Scientific studies show that cluttered and busy environments can increase stress levels, and this is counter-intuitive to the current demand for promoting wellbeing through design. We will continue to look to promote sophistication over slapdash, and minimalism over muddled, in our interior design work. It may look simple on the surface, but creating an interior that portrays immaculate elegance rather than stark emptiness is a delicate balance to get right. This is an approach that can be seen in our interior design for a new five star hotel in Dubai, currently under construction. 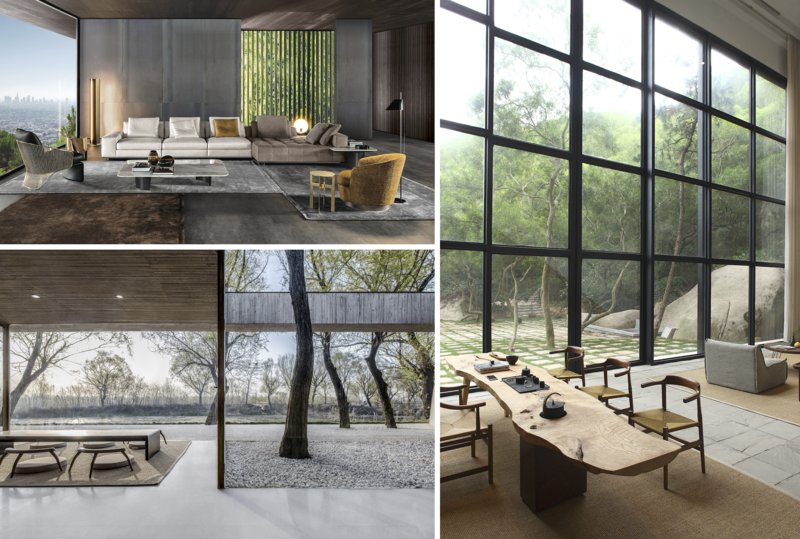 From the guest rooms to the public areas and F&B outlets, there is a definitive theme and association, depending upon the narrative; but each design is similar in that it offers airy, spacious and uncomplicated surroundings to feed into the ongoing affection for simplicity over pretentiousness. Human’s affinity with nature has definitely returned. After centuries of industrialism and development with little or no regard for the environment, humanity seems now to have rediscovered an affection for all that is green, rustic and sustainable. And so it follows that the exploration of the relationship between humans and nature has quickly become one of the predominant trends of recent times. This is accomplished mainly through the use of materials. Natural stone, wood, green elements and providing views of – or access to – the outdoors in whichever way possible, is always close to the top of the list when conceptualising an interior. This design approach seeks to create an authentic connection between building occupants and the outdoors; incorporating as many natural features as possible, ensuring a healthy, productive and pleasant space. Following on from the previous trend, we see demand for wood-style flooring continue to flourish. However, high quality wood comes at a price, as does its general maintenance, and wood-effect tiles have been the main benefactor as a result of cost-driven projects. These tiles have become more advanced with the evolution of printing technology on porcelain, and the variations available in terms of finish and ‘species’ are plentiful. Realistic, cost-efficient and sustainable, capitalising on what could be a very long lasting trend that calls for a connection to nature at almost every turn – wood-effect porcelain is the floor tile with the quality and appeal seemingly perfectly suited to design in 2019 and beyond. 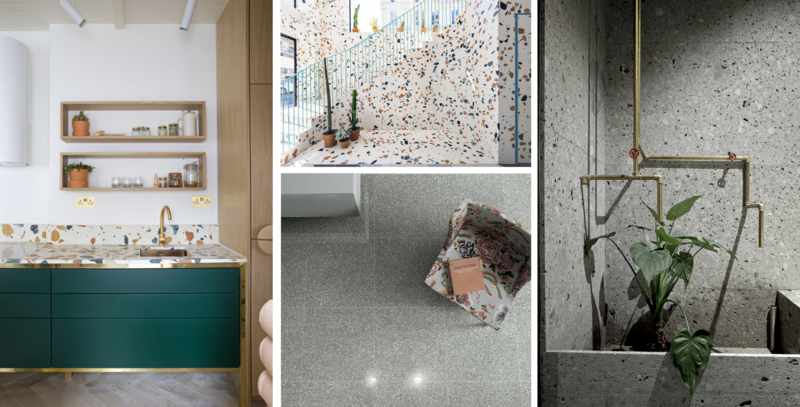 The return of terrazzo happened last year, and by all accounts this trend looks like it could be here for some time to come. Providing an imperfect aesthetic punch, terrazzo is also extremely versatile and its appeal now stretches beyond flooring. Due to its highly interesting textures that feature unrelenting specks and random patterns, this material has been legitimately turned into a design style that more and more people are beginning to discover and appreciate. Designers are now embracing terrazzo in different ways within their projects, and this speck-laden patterned material is now a design style in its own right, with increasingly widespread implementation in projects. The emergence of matte black as a finish of choice for bathrooms and kitchens has been quite meteoric. Stainless steel fixtures and faucets have been pushed to the side for those looking for a slightly more contemporary and sleeker aesthetic. Will it last? Well, black shouldn’t ever go out of style. In many ways it perhaps goes against the return to nature we mentioned previously, and certainly wouldn’t work in a rustic, country-house style kitchen. But, with so many modern appliances dominating kitchens these days, black matte taps, sinks, switches and sockets create a warm but contemporary kitchen space. In bathrooms, the effect of matte black with good use of solid natural colour bases has a similarly stylish effect. Certainly, as we seek to create a unique identity for individual spaces, there are few choices that create segmentation with as much sophistication as matte black. Bohemian design is the antithesis of this modern world, in which most people are content with simply following the rules, taking no risks, and trying not to challenge the status quo for fear of causing a disturbance. It’s only logical that design would seek to rebel against the societal dampening of freedom of expression. Boho is random, it’s rustic, and it tears up the rulebook, as well as flagrantly defying any of the previous trends we’ve mentioned. There is a growing movement embracing the Bohemian outlook; preferring more eccentricity and randomness within their interiors. Unique one-of-a-kind pieces can be as loud, obnoxious and as unusual as you wish. There’s nobody to tell you no. Although at BSBG we probably wouldn’t go completely Boho, we will definitely seek to explore some of the spirit of the vibe, combining vintage stylings with modern cleaner and brighter elements to create engaging spaces. What are your predictions for Interior Design Trends 2019? Please do let us know in the comments on social media!